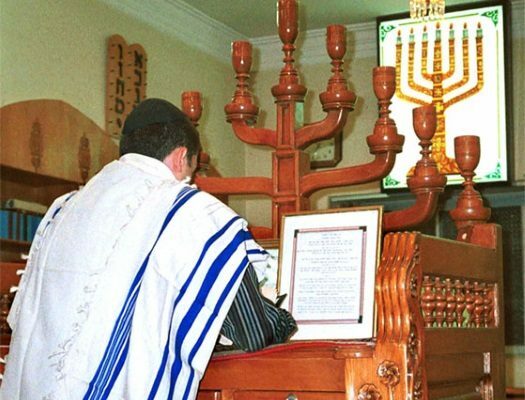 File photo: Synagogue in Shiraz, Iran. 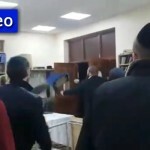 Two synagogues in the Iranian city of Shiraz were attacked by vandals, who tore up Sifrei Torah and Tefilin, threw siddurim in the toilet and damaged other holy objects. Click here to continue reading at the JTA. i really hope whoever did this is brought to justice. Why do Jews live there?Maybe Lazar can ask Putin to speak to his Iranian buddies to help the poor jews. 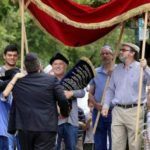 Boruch dayan haemes. This is too sad. Chutz lo’oretz can never be any Jew’s home. One who regards chu”l as his home is r”l as if he has no god. Chu”l is only ever a temporary shelter, where we stay because for various reasons it’s not convenient for us to be at home just now. People often leave their homes to visit other places, and there’s nothing wrong with that, so long as we remember that it is/i> home, where we will eventually return; but we must never forget that. Might have something to do with the massive antigovernment protests taking place across the country right now? It just has to be a Jew…I mean Zionist conspiracy to destroy the country for their benefit…. #4 you can not put your head into a lions mouth………..Islam is the problem,it is a mental virus.